E- cigarettes: not so safe after all? Electronic cigarettes, also called e-cigarettes or electronic nicotine delivery systems, have become really popular, especially the last couple of years. These devices that attempt to mimic the look and feel of a cigarette have been developed to make smokers stop smoking normal cigarettes and eventually quit smoking altogether. Still, there has been great debate on whether these battery-operated devices designed to deliver nicotine with flavorings and other chemicals to users in vapor instead of smoke, are actually safer alternatives to cigarettes. According to Hilary Tindle, an assistant professor of medicine and director of the tobacco treatment service at the University of Pittsburgh Medical Center, the process of using an e-cigarette is called “vaping” rather than smoking. She said that people who use electronic cigarettes are called “vapers” rather than smokers. Some experts fear e-cigarette smoking could lead to nicotine addiction and become a gateway to tobacco smoking, while others say they have enormous potential to help millions of smokers around the world to quit. When the study began, e-cigarette users were more nicotine dependent than non-users, had more prior quitting attempts and were more likely to be diagnosed with lung or head and neck cancers. During a follow up, researchers found that e-cigarettes users were as likely as non-users to still be smoking as well as twice as likely to be persistent smokers of traditional cigarettes. Although all smokers with cancer should quit, the researchers concluded that questions remain about the long-term safety and effectiveness of e-cigarettes, as there is a lack of long-term scientific evidence on their safety. They are putting out among the strongest of health warnings, going even further than the ones on actual cigarettes. One warning, from Altria, maker of Marlboros, reads in part: “Nicotine is addictive and habit forming, and is very toxic by inhalation, in contact with the skin, or if swallowed.” The label also says that people with heart disease, high blood pressure and diabetes should not use the product and neither should children. This behavior has left the industry’s critics deeply skeptical. “When I saw it, I nearly fell off my chair,” said Dr. Robert K. Jackler, a professor at the Stanford School of Medicine where he leads research into cigarette and e-cigarette advertising. “Is this part of a noble effort for the betterment of public health, or a cynical business strategy? I suspect the latter”, he added. Tobacco companies have never before come across as really compassionate about the wellbeing of their users. Still, their motives behind such a behavior make many experts speculate that it is a low-risk way to insulate themselves from future lawsuits. William Phelps, a spokesman for Altria, when asked to comment on the matter said that their goal is “to openly and honestly communicate about health effects” and that the warnings are based on “scientific research” and “previously developed warnings” on nicotine products. So, a former smoker of conventional cigarettes myself, I cannot help but wonder, how can e-cigarettes actually be safer than ordinary cigarettes when the health warnings on their package are stricter? When scientific evidence gradually builds up against them? 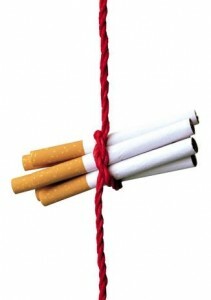 Quitting smoking can be really hard, I know from personal experience. 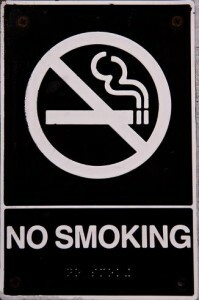 Since little data exists on the safety of e-cigarettes and their health effects compared to conventional cigarettes, those of you trying to quit smoking it is best to talk with your doctor on possible ways to help you quit, like FDA-approved cessation medications and by attending smoking cessation counseling sessions.